Many thalassotherapy centres - or sea water health spas - have sprung up on the sunny Languedoc-Roussillon coast. The healing properties of sea water, seaweed and mud baths, together with medical know-how, provide a real answer to the stresses and allergies caused by modern living. The region’s spas offer courses of treatment and personalised programmes using top notch facilities, from sea water bathing pools and hot baths to high pressure showers... While thalassotherapy and hydrotherapy are based on specific types of water, balneotherapy offers similar types of treatments using tap water (‘eau de ville’). Acres of green open space and a mild climate have made la Grande Motte the ‘hot spot’ for sun treatments. In the autumn and winter, the combination of cooler air and the ever-present sun help to recharge your batteries and get you back on top form. The spa’s philosophy is based on promoting relaxation of mind and body, so a stay here is the perfect antidote to overwork. In Port Camargue. In the heart of the Petite Camargue, in Port Camargue, everything in this spa is designed for the client’s well-being, comfort and health.There’s a specially designed relaxation area, outside solarium and heated outdoor pool. Year-round sunshine, tempered by the cooling influence of the Pyrenees mountains, gives Banyuls sur Mer an ideal climate. 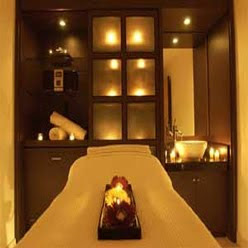 The spa’s ultra modern equipment and suite of sea water treatments make it the perfect place to re-build your vitality. Whether you have circulation or respiratory problems, or want to lose weight, Thalacap Banyuls can help. Even in Roman times, people were drawn to the mild climate of Le Barcarès, which shelters at the mountains’ feet where they plunge into the sea. It’s an ideal spot for rest and relaxation. The spa offers a variety of treatments, including an anti-stress course, with aqua gym sessions and tissue oxygenation; a balanced nutrition package which helps you to reach your ideal weight; and treatments for circulation problems, which is one of the centre’s specialities. With 12 spa resorts and a rich variety of mineral-water springs, Languedoc-Roussillon is the third most important hydrotherapy region in France. In Aubrac, Margeride and the Cévennes, in Haut Languedoc, by the Mediterranean, in Cathar Country and the Pyrenees, 12 exceptional spa resorts offer hydrotherapy treatments and health breaks at well equipped health spas. The dry and sunny Mediterranean climate makes the Pyrenees mountains an ideal location for climatotherapy. At the foot of Mont Lozère, 15 miles from Mende, this resort sits in a beautiful setting at an altitude of 900 metres. Its therapeutic waters gush from the mountainside at a temperature of 41.5°C. Sulphurous, rich in fluorine, mineral salts and rare gasses, the waters are used to treat respiratory and rheumatic symptoms. The spa also has an outdoor cold spring which has diuretic properties and aids the digestive system. You can bathe in the steamy, sulphurous waters of open-air hot springs (whose average temperature is 35°C) at Dorres (Roman granite baths), Llo or Saint Thomas-les-Bains. Located close to Font-Romeu, the six hot springs which emerge at Saint Tomas are among the hottest sulphurous waters of the Têt Valley. Three outside basins; water at 36°C in summer and 38°C in winter. About 15 miles from Font-Romeu; hot sulphurous water; one open air basin with water at 31°C (Jacuzzi and swimming against the current) and one covered basin at 30°C. Located near the village, about 8 miles from Font-Romeu, the famous ‘Bains de Dorres’ allow you to bathe in sulphurous water at a temperature of 42°C; open-air Roman baths.